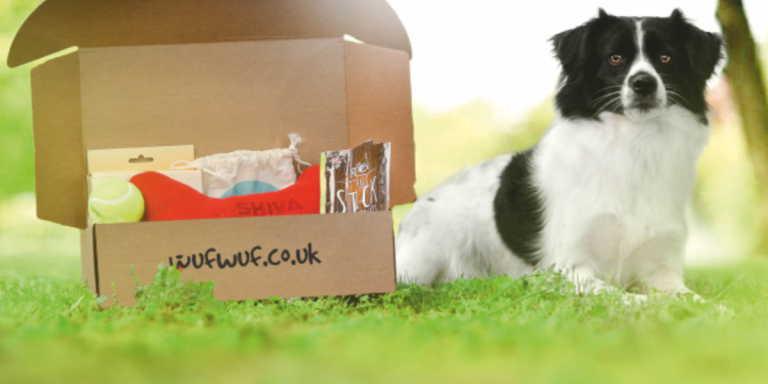 WufWuf is a pet subscription box for dog owners who love to spoil their furry friends. 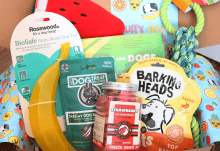 Every month, you’ll receive a surprise package of dog-friendly goodies (Treats, Toys, Chews, Accessories or Grooming Products), and each box will have at least five products (often more) that are valued over £40 so you’ll getting excellent value for money! Shipping is free and you can cancel your subscription at any time. 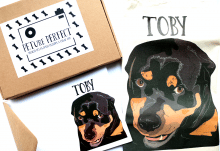 I have two dogs, Chloe, a nine-year-old Staffordshire Bull Terrier and Toby, a six-year-old Rottweiler, so I gave Toby’s details to WufWuf as he’s the bigger dog, and they created the following box for him for his first month’s subscription. 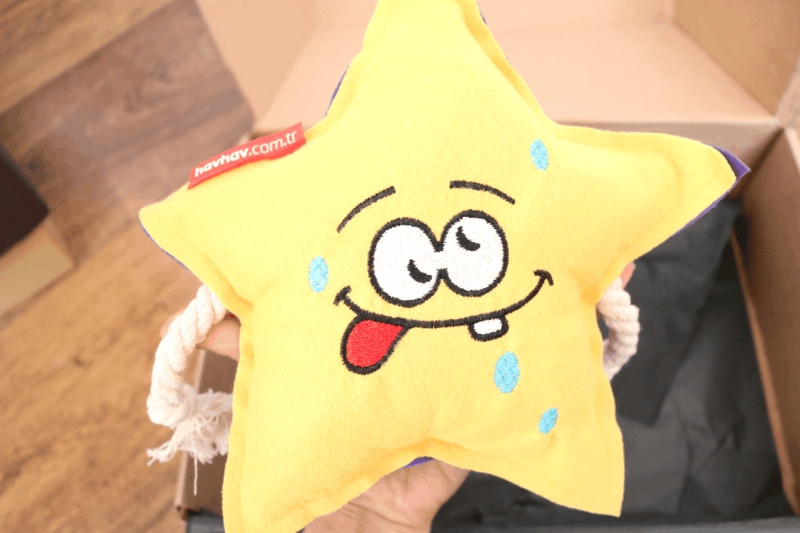 Inside the box, I found seven products which were worth in total over £42. 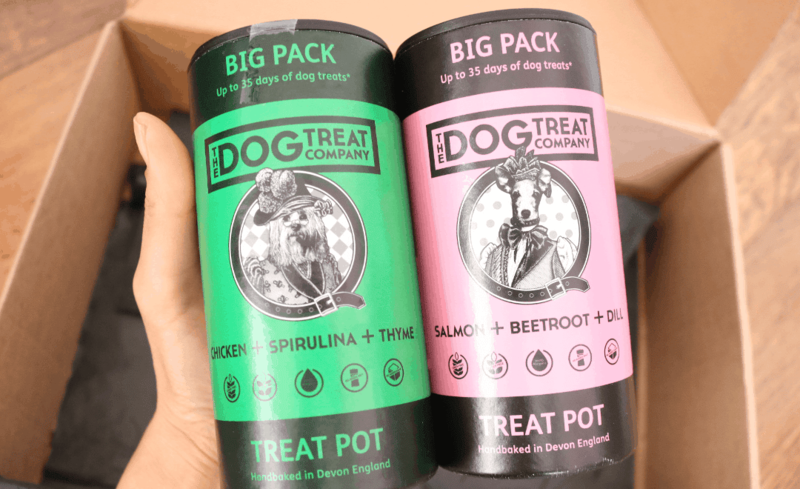 First up, I picked up the Treat Pots from The Dog Treat Company who handbake all of their treats in Devon, England. I loved the cute packaging on these and received two different flavours; Chicken + Spirulina + Thyme, and Salmon + Beetroot + Dill. 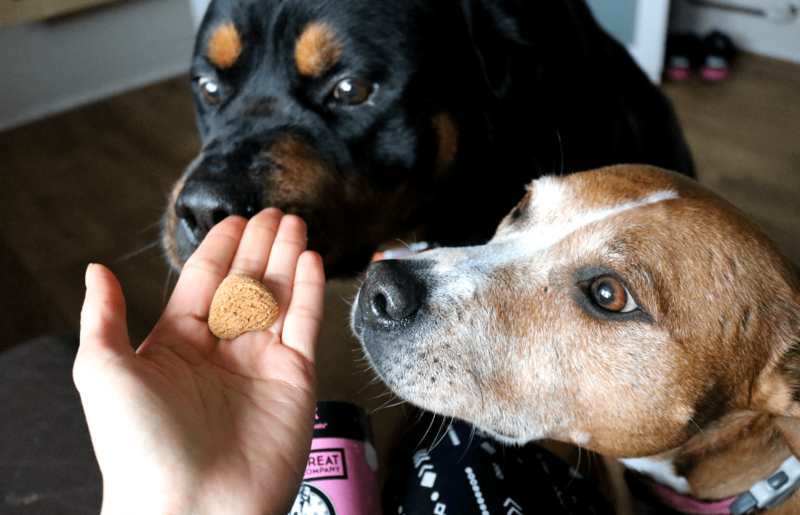 The quality of the ingredients used is very high and I was more than happy to give these crunchy, healthy treats to my dogs – they loved them as you can see below! 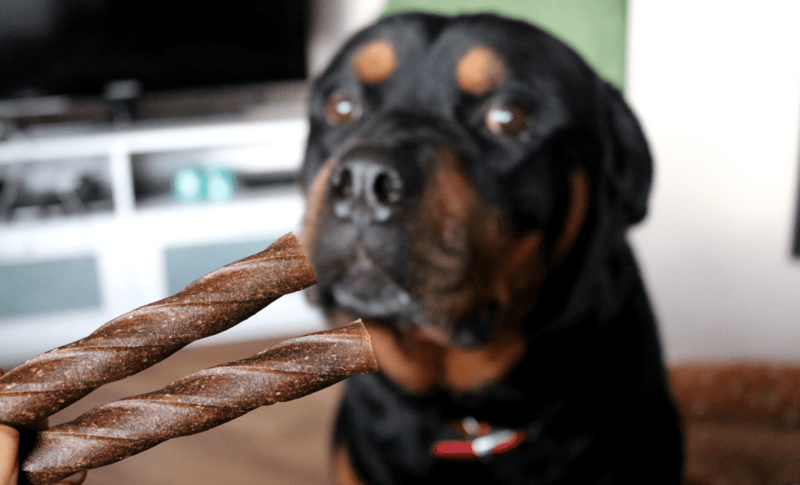 This pack of chew sticks from Pooch & Mutt was in a Duck Delight flavour and my dogs went crazy for them. 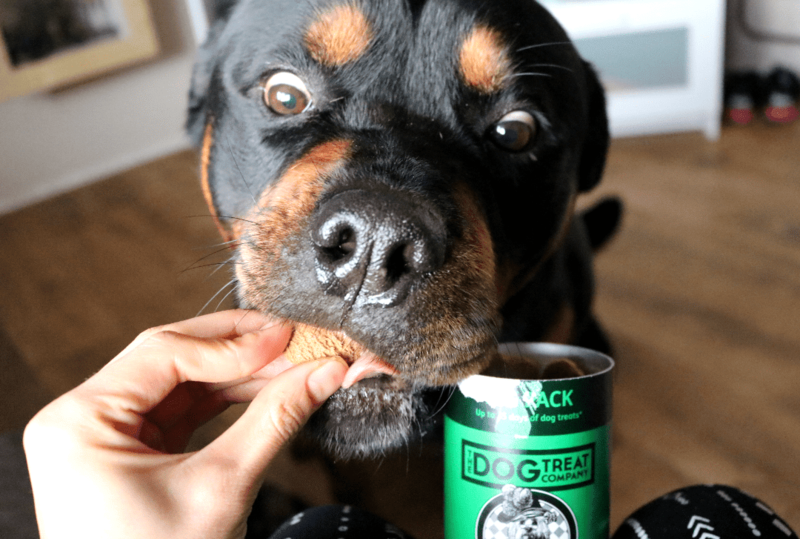 They’re made from all natural ingredients, so junk food free, and are also wheat free so that dogs can digest them easier. 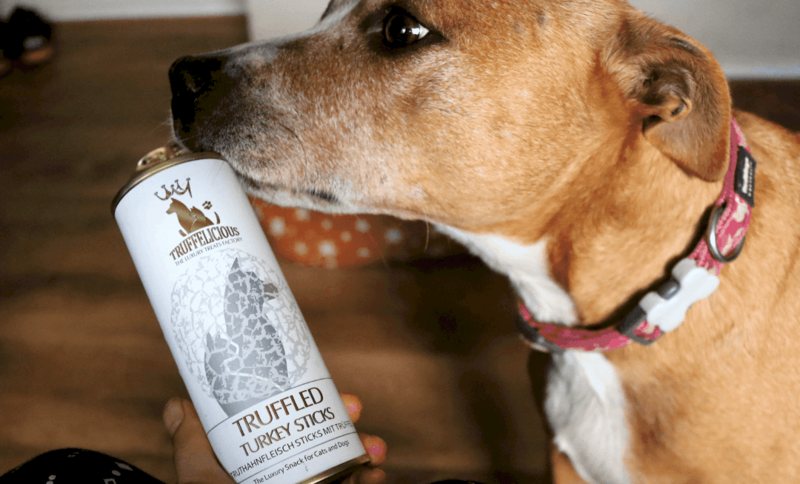 The next product is a luxury dog treat from Germany and these Truffled Turkey Sticks are perfect if you like to give your dogs Christmas presents (I mean, they are turkey flavour after all!). Instead of sticks, they are more like thicker pieces and there was a good amount in the tin. Again, both of my dogs enjoyed these. 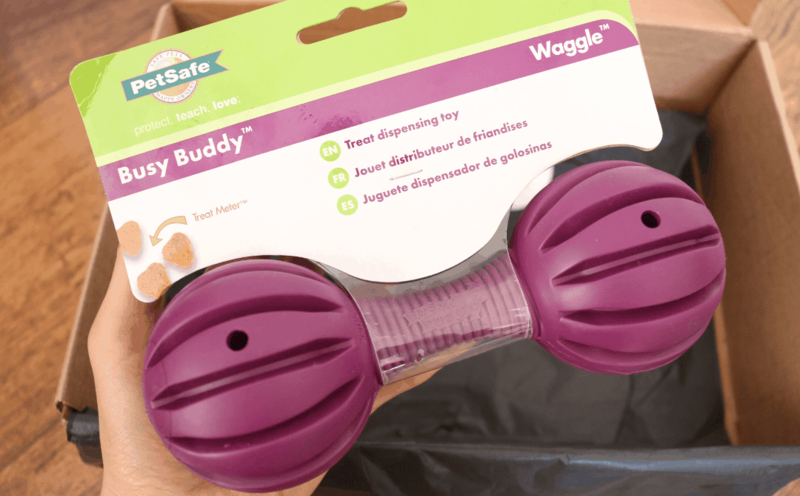 Moving onto the toys in the box, I was pleased to see the Busy Buddy Waggle Treat Dispenser because I often use toys like this to keep my dogs occupied. They’re both very food motivated so will happily spend hours working out how to get the treats out of them! 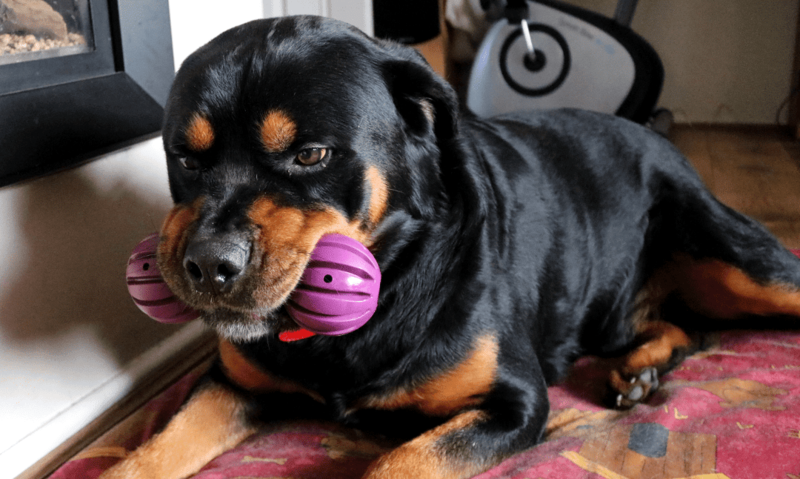 This one has two flexible rubber ends that you can stuff treats into and it worked very well – it kept Toby busy for a good hour and he’s been obsessed with it ever since! 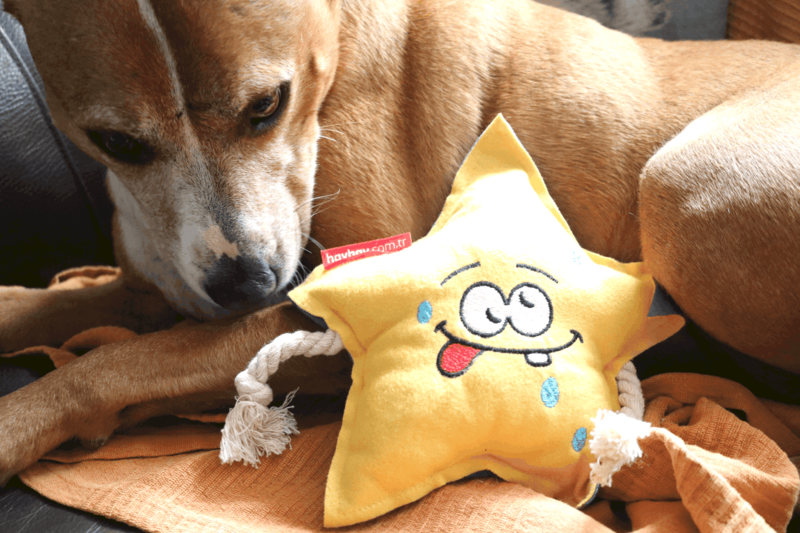 The second toy was a Handmade Starfish Toy which has a soft filled body and a rope at either end. Sadly, this didn’t last very long with my two power chewers who love to rip about anything soft like this, and they soon got the stuffing out. If your dogs are less rough with toys, I’m sure they would have enjoyed this more than mine. 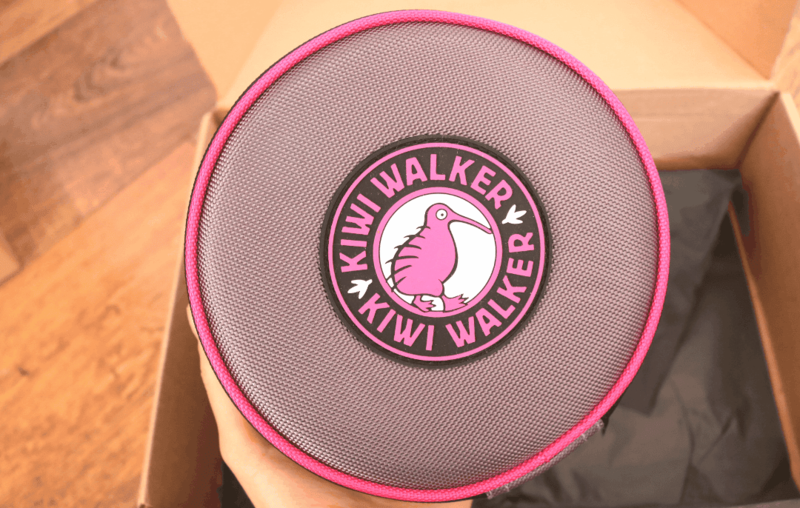 Finally, the last product is a genius invention from Kiwi Walker. WufWuf describe it as one of the most creative travel bowls that they’ve ever seen and I’m inclined to agree – it’s fantastic! Nice and compact, you unzip it to reveal two collapsible silicone bowls which can be easily pushed up to form a solid water bowl for your dog. 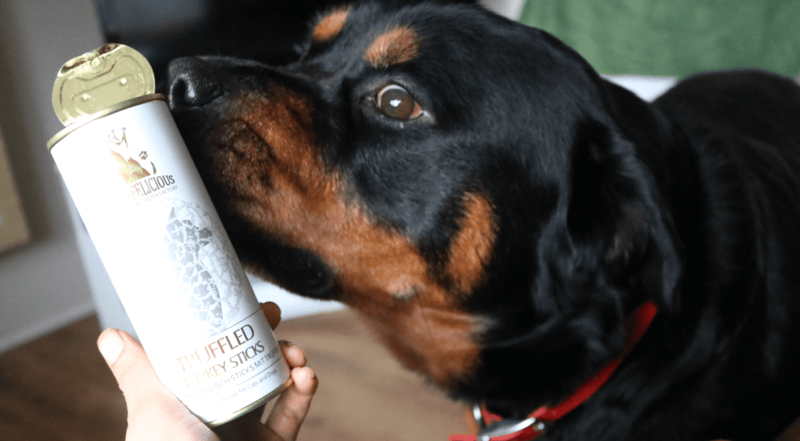 Best of all, there are two bowls so it’s, of course, perfect for dog owners like me and would be super handy to take onto walks in the Summer months to keep your dogs refreshed and hydrated. How would you rate WufWuf ?